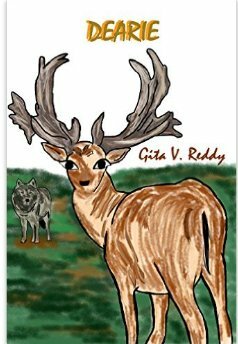 An interesting picture book for elementary school children and all those who are interested in unusual animals. African wild dogs are related to canines and wolves. Unlike domesticated dogs they have four claws instead of five. Like wolves they live in packs. They are carnivores and their hunting habits require a rather large habitat area of 1,500 square kilometers. African wild dogs are sometimes called painted dogs because they are covered with patches of red, black, white, yellow, and brown patches. Today their habitat has been largely reduced to South Africa due to rabies, vehicle accidents and the rapid encroachment of farmers upon their territory. Terry discusses how these creatures communicate and the rituals they perform before the hunt. She explains how the pack is dominated by an alpha male and female, but stresses the fact that all members of the pack understand their roles and are protected and maintained by the rest of the family. The inside photographs are excellent; they capture the spirit and character of the animal. The print is large and easy to read for the younger reader, and the text well-written for the most part. Nice book to put on a classroom reference shelf for those interested in animals or dogs in particular. 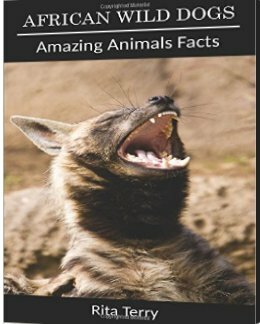 The author has written other nonfiction books about many other animals living in the past and present. Available in kindle and print format. I received a copy of this book in return for an honest, non-biased review. Bridget and Colin are walking through the Irish woods ahead of their parents and ten-year-old brother, Declan. Suddenly Colin disappears; Bridget thinks that he has been eaten by a wolf. A park ranger assures the family Colin will be found. When they go into town to file a report with the town constable, a strange looking lady named Mrs. O’Leary suggests that they must go into the woods so that the trees can guide them to Colin. Colin’s dad angrily puts his foot down, refusing to listen. Declan sneaks out and goes back into the dark woods to find the strange old woman who may be able to lead him to his brother. When Declan finds her in an odd cabin filled with computers and a bubbling cauldron, he is puzzled, but also drawn to follow her. Mrs. O’Leary demands that he go into the woods where the spirits of the trees will speak to him. By taming his fears, not only will he be successful in finding his brother, but he will also bring peace and tranquility to the family. 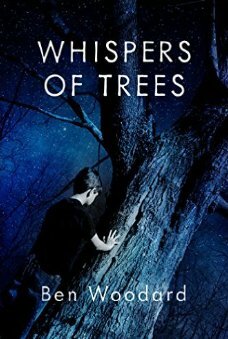 This mystery set in the mythical woods of Ireland mixes elements of adventure, myth, thriller, and family relationships. Targeted reader audience is age seven through twelve. This is a story with many layers of meaning which are exposed by repeated readings, and one that could definitely be used for guided reading in a classroom discussion on many topics. Perfect as well for a family read aloud and group discussion. Beginning chapter book of approximately thirty-five pages which is just right for a new or reluctant reader. The protagonist is a deer named Dearie. At first, it appeared that Dearie was too weak and frail to survive. Beating the odds, he soon grew strong and fast. As time went on, a bigger problem surfaced. Whenever danger appeared, Dearie froze. He could not respond to danger. That put the rest of the herd at risk. Despite the pleadings of his mother, it is agreed that Dearie must leave the herd to learn how to overcome his fears and master the skills needed to survive. Dearie must face wild boar, wolves, lions and crocodiles. Will Dearie find his courage, and more importantly, will he ever rejoin his beloved herd? This is an animal coming of age story that teaches children we all must not be afraid how to learn to be independent. Simple pen and ink drawings accompany the short chapters. I think the plot begins a bit slowly; the real story unfolds halfway through the book in Chapter 5. Recommended as an independent read for eight to ten-year-olds or for reluctant readers who feel challenged by the length of most middle-grade chapter books. Short enough to be used as a read aloud classroom discussion.